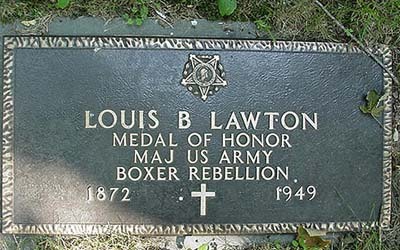 Congressional Medal Of Honor Recipient. Medal of Honor earned during China Relief Expedition ("Boxer Rebellion"). Rank and organization: First Lieutenant, 9th U.S. Infantry. Place and date: At Tientsin, China, 13 July 1900. Entered service at: Auburn, N.Y.
Citation: Carried a message and guided reinforcements across a wide and fireswept space, during which he was thrice wounded. 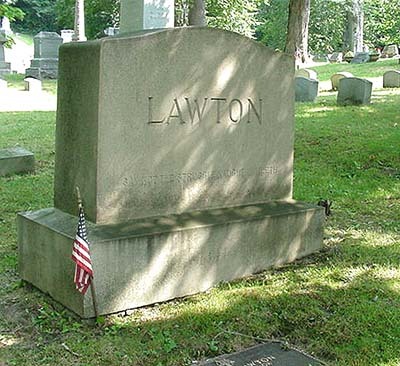 The Lawton family plot is located in the Cemetery's Ridgeland section.